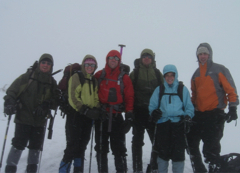 A winter mountaineering course for those wishing to learn the skills for winter mountaineering & winter backcountry travel. Our most popular course, this is a great place to start if you have mountain climbing goals or just want to give winter climbing a try. This winter climbing course is conducted in spectacular Sequoia National Park where you will learn all the fundamentals of winter mountaineering. A great fun challenge for those looking to really get away from it all. 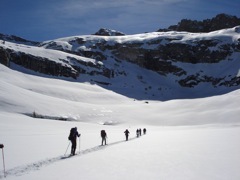 We combine the challenge of backcountry travel in the winter with lots of instruction in the various aspects of mountainering. This winter mountaineering course includes a winter attempt of Alta Peak (11,300 ft) in the stunning Pear Lake area of Sequoia National Park. 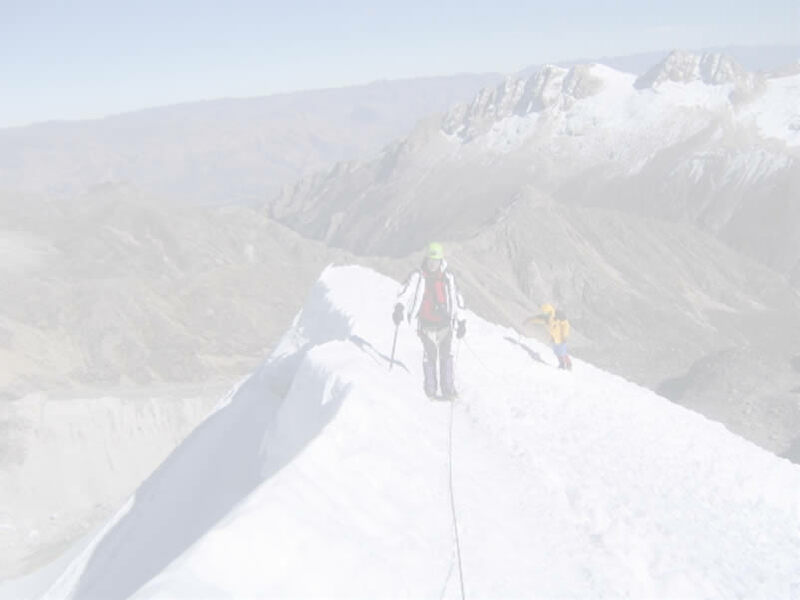 A winter climbing adventure for anyone interested in the winter backcountry and as a foundation for more advanced winter climbing, snowshoeing, or ski touring. 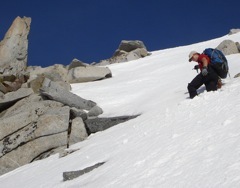 Also a good starting point for those who have long term goals of attempting bigger snowy peaks such as Denali. 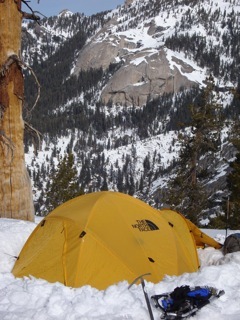 Come join us on a winter backcountry adventure this season! Location: Sequoia National Park, California, West Side of the Sierra Nevada. Lodgepole area. One and a half hours east of Visalia. Prerequisites: No previous climbing experience required, but some previous experience in hiking and backpacking is reccommended. Previous Snowshoeing experience is not necessary. Give us a call if you have a question. Rentals are available for boots, snowshoes, sleeping bags and backpacks.